Family Owned & Operated, Serving the Philadelphia Area for Over 80 Years! 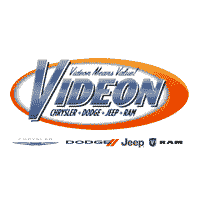 The Videon family got its start in the car dealer business in 1954 when Frank C. Videon opened his Chrysler DeSoto dealership named Silsby and Videon. He later went on to form Frank C. Videon, Inc. in 1957. Over the years he worked hard to build an honest and caring dealership that looked out for its customers and employees. Many of his employees worked for him for over 20 years, creating a work environment that felt like family. In 1983 Frank purchased the local Dodge dealership. Shortly after in 1984, Frank and his son Frank C. Videon, Jr. bought the local Chevy dealership. They continued to run all three dealerships with the same honesty and integrity they had come to be known for. Later on, Frank Sr.’s son Wayne Videon took the lead running the Dodge dealership and his other son Steve Videon ran the Chrysler dealership. In 2006, the Chrysler and Dodge dealers merged, and they purchased the Jeep franchise in 2008. It was then that they also moved to their current 25,000 square foot location in Edgmont Township. This exciting new move was later followed by an unfortunate hit in 2009 when General Motors filed for bankruptcy and closed the Videon Chevrolet dealership. But the Videon family is not one to give up! Today Videon Chrysler Dodge Jeep RAM is operated by Steve, Wayne and Steve’s son Matt, continuing the family tradition and honoring the values their father (and grandfather) Frank C. Videon started his business with. They also recently acquired the Kelly Chevrolet dealership in Phoenixville and plan to make it even better than before. Our father always told us the way to treat our customers was to K-E-W-K – “Kill ‘Em With Kindness.” Come in and enjoy the Videon car buying experience! Videon Chrysler Dodge Jeep RAM	39.975453, -75.4476276.